Have you ever found yourself at a loose end in a city? You stride outside at the end of your last business appointment, briefcase in hand. Relief, anticipation and fatigue merge as you gulp in the fresh air and look up at the vast, clear blue sky, feeling like a child on the last day of a school term. What now? you may ask yourself. What can I possibly do with three days? Your foot taps a beat, your heart dances a jig; the excitement is almost palpable. You are free, at last. The country beckons. There’s nothing to be done except to treat yourself to a taste of Namibian soul. 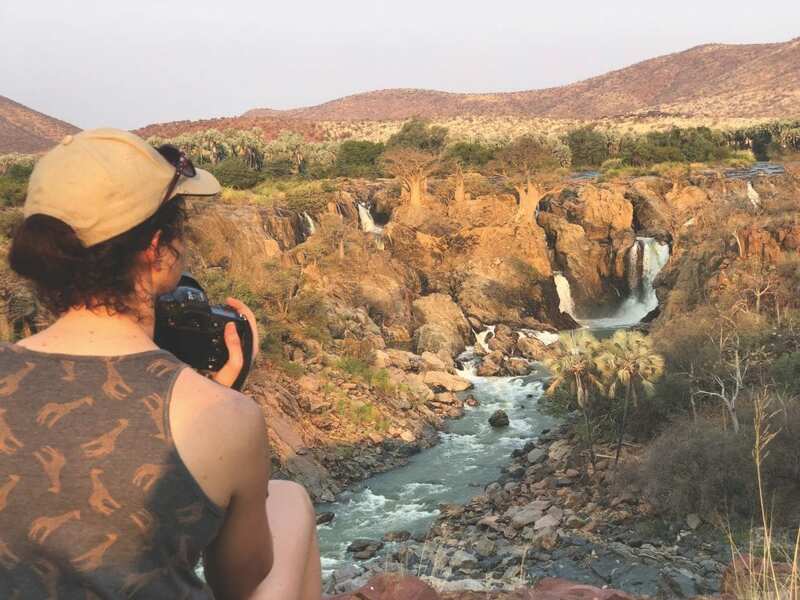 Although Windhoek’s clean and attractive centre lends itself to exploration of craft markets, township tours and strolls through book and curio shops, you yearn for the country. I understand. I’ve been in those boots. So, march out of that last business meeting, pick up a map (the one endorsed by the Roads Authority is recommended and easily available), slip off your tie, change into your leisure gear, pack your bags and head out. You can achieve a great deal in three days in this country of space and soul, and still make it in time for your return flight from Hosea Kutako. Four easy-to-do routes radiate from the capital and without any sweat you can choose your preferred direction. If you haven’t already hired a vehicle, your first stop is car hire. With no gravel roads to negotiate on these short trips, except on the Sossusvlei option, a small vehicle is suitable. (Ensure, if possible, that the car-hire company is registered with CARAN, Car Rental Association of Namibia). Several operators also offer short trips to Sossusvlei and Etosha, releasing you from even the smallest responsibilities. If the coast calls, Swakopmund is your destination. A short four-hour drive westwards via Okahandja takes you to the chilly Atlantic and the old German town surrounded by desert. It’s bursting at the seams with unusual character and oodles of opportunity. With a choice of activities, you won’t be idle, unless you want to be, that is. A 30-kilometre drive further south lies the Walvis Bay Lagoon, resplendent in wintertime, graced with elegant pink flamingos. But, perhaps it is African wildlife you’re after, a chance to sit at a waterhole and watch gigantic wizened elephants approach the water in regal, dreamlike splendour. 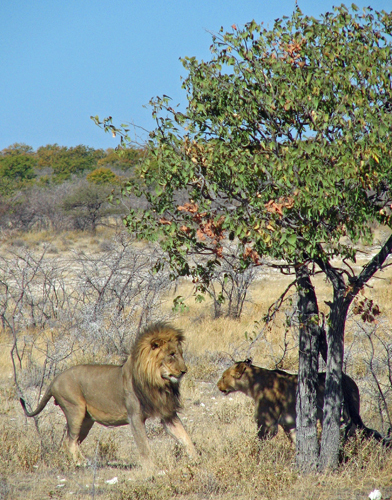 Lucky for you, Etosha National Park is also an easy four-hour drive away. Visitors have the option of staying inside the park or at one of the plethora of lodges just outside Andersson Gate. The Okaukuejo Waterhole is often abuzz with animal visitors and hours can be spent simply sitting at its edge, while several waterholes in the vicinity offer frequent animal activity. 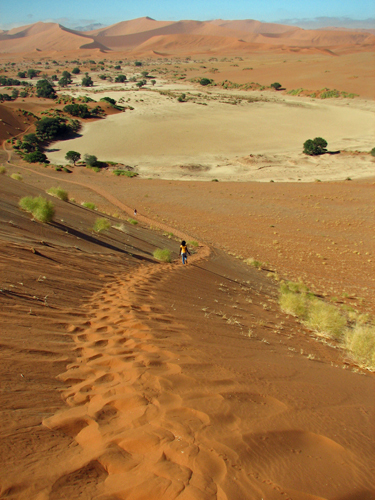 ‘Sossusvlei’ you may be shouting, with only those red sand dunes in mind. The supreme and otherworldly beauty is easily reachable on a three-day visit. This route includes a section on gravel, and therefore slower driving. Once again, a choice of lodges surrounds Sesriem, the entrance gate to the dunes, and if you explore the vlei and adjacent Dead Pan or Deadvlei in the morning hours, you will still have ample time for relaxation. ‘Phew’, a few who are running on the dregs of their reserve tanks may be thinking: “I just want to close my eyes on a deck and absorb African energy, read my book, have afternoon snoozes (maybe join an afternoon nature drive) and dine well on Namibian fare.” Or maybe you’ve travelled through the country before, seen the main attractions and want a slightly new and different adventure. Then this option is for you. 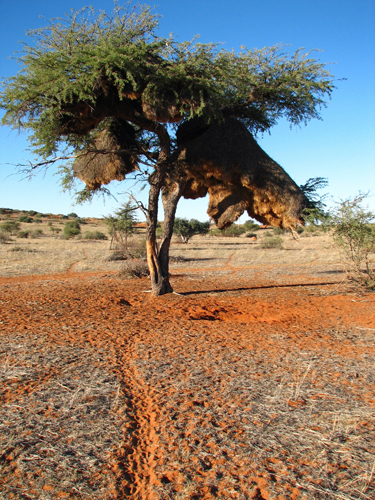 Drive out to the red sands of the Kalahari to be dazzled by acacia trees heavy with the weight of sociable weaver nests, gemsbok on orange hills and the spirit of the east. North, south, east, west. Don’t dally in the city; the soul of the country is calling. WEST to Swakopmund. Take the B1 to Okahandja and the B2 westwards to the coast. It is only 356 kilometres to the desert town. Reserve a table overlooking the sea, walk out onto the jetty, stroll through the streets discovering quaint coffee and curio shops, join an excursion into the Namib Desert or a dolphin cruise on the Walvis Bay Lagoon. NORTH to Etosha. Okaukuejo Camp is 435 kilometres from Windhoek. Travel north on the B1 to Otjiwarongo and the C38 to Andersson Gate. Stop off at the Bäkerei in Outjo for some pastries, and eat and tap your toes to local music at the wacky Shebeen Restaurant (modelled on the townships’ illegal bars during the apartheid era), if staying at Etosha Safari Camp or Lodge. Sossusvlei aerial. Photo ©Paul van Schalkwyk. SOUTH (-west) to Sossusvlei. Take the shortest route to Rehoboth on the B1 and then reduce speed and turn onto the gravel C24. Continue on the D1206 towards Büllspoort, the C14 to skirt the Naukluft Mountains, and the C19 towards Sesriem. The journey will be approximately 400 kilometres. In the morning, pay your entrance fee at the Sesriem office and wait at the gates to drive to Sossusvlei through the gauntlet of towering dunes. The NWR shuttle will take you from the Sossusvlei parking area for the 5-kilometre sandy 4×4 ride to the two vleis. 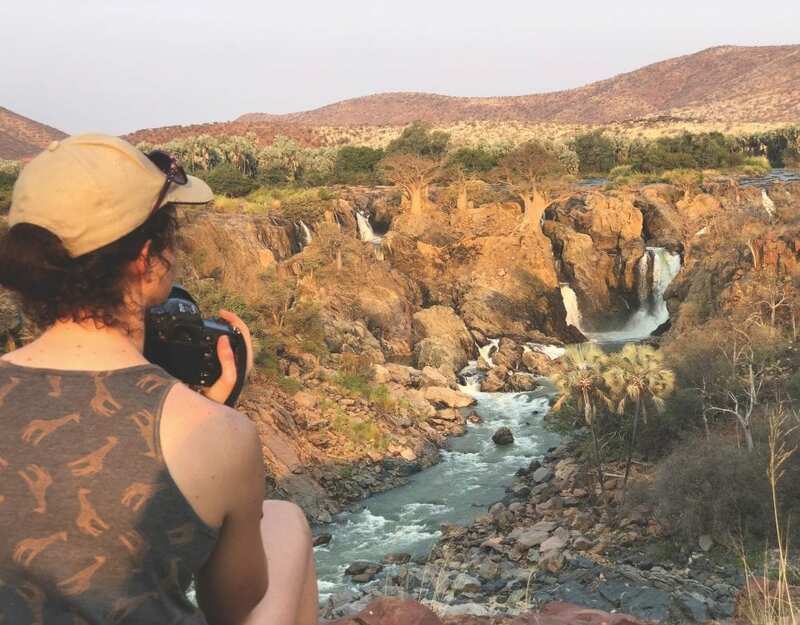 Carry water and extra memory cards for your camera and savour the Namib Desert wonderland. A detour at Solitaire on your return to the city to fill up on pastries, padkos (food for the road) and frontier character is recommended. EAST (okay, south-east then) to the Kalahari. Begin the journey with a drive south on the B1 until you near Mariental (261 kilometres). From here, veer east on the C20 towards the Kalahari. Several attractive accommodation options are available on this stretch of road, offering nature excursions and delicious fare. Visit the Kalahari Farmhouse stall at Stampriet for fresh produce grown at the Stampriet Self-sufficiency Centre and join the sundowner drive offered by your lodge to watch the setting sun dip into the red earth.